Women and girls have been employed across the mining industries in the UK and Ireland, with most working in the Collieries. It was not uncommon for them to employed underground, which was made illegal after 1842. They were certainly employed underground in the collieries of Scotland, Cumbria, Northumberland, Shropshire, Yorkshire and Lancashire. In Scotland and Northumberland they often carried coal in baskets on their backs, to climb stairs out of the mine. Elsewhere, they hauled waggons on all fours, by means of a chain around their waste, through low passages. 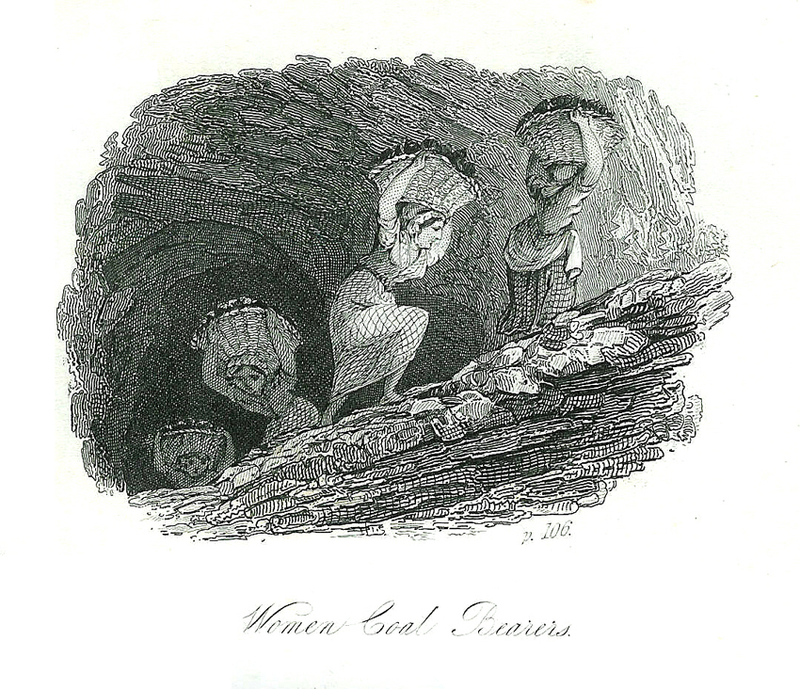 In Silkstone, near Barnsley, women and girls died in a mine explosion in 1805, and a further seven (9 to 17 years old) died in a tragic flooding of the Moorside Pit in 1838. 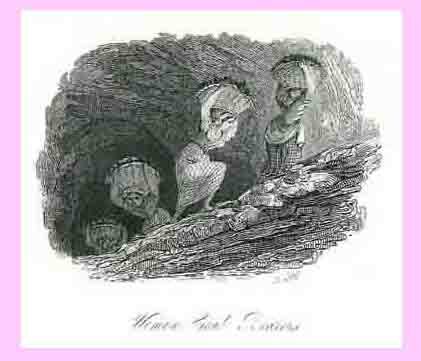 In 1841 there were 2350 women employed in the coal mines of the UK, one third of them in Lancashire. After 1842, the women and girls worked at the surface, pushing wagons from the pit head to the sorting screens, or sorting coal at the screen themselves. In some mines the latter continued until the 1930’s. Cornwall and Devon were not the only areas in the UK and Ireland to employ women and girls at the metal mines. While the types of work in which they were engaged were broadly similar, the numbers involved were generally lower. For further information and a database of named individuals go to ‘Women and Girls of the Metal Mines of the UK and Ireland’.